We are continually updating our website. In the future we will have more sample itineraries, client comments and photos plus much more, added to these pages. In the meantime, please feel free to browse the countries by visiting any of the links we have added below for your convenience. Thank you for your interest in Perfect Journeys Travel and please do not hesitate to contact us if you have any questions, or would like further information. Many Other Tour Options and Itineraries Available! Please inquire. 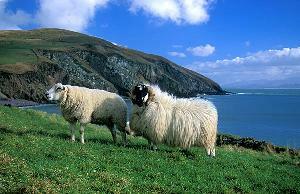 For further information on Ireland please email us.